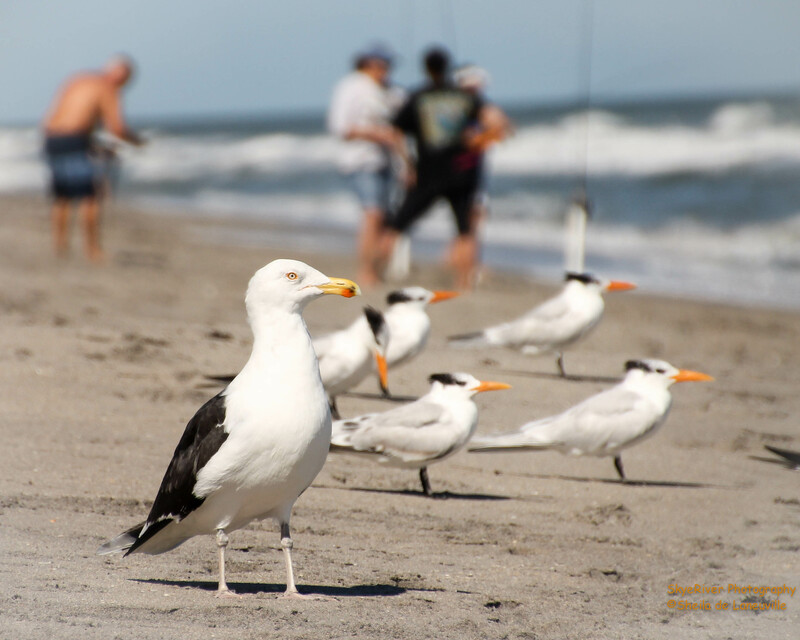 There is no mistaking the identity of this gull, it is the largest in the world. It stands about 16 to 32 inches and weights about 64oz. Leg color, pale pink; eye color, pale yellow; bill color, yellow with red on lower mandible; back and wings, black. The gull, in my photos above, is at least four years old, because it takes that long for it to transition to the dark, black back. 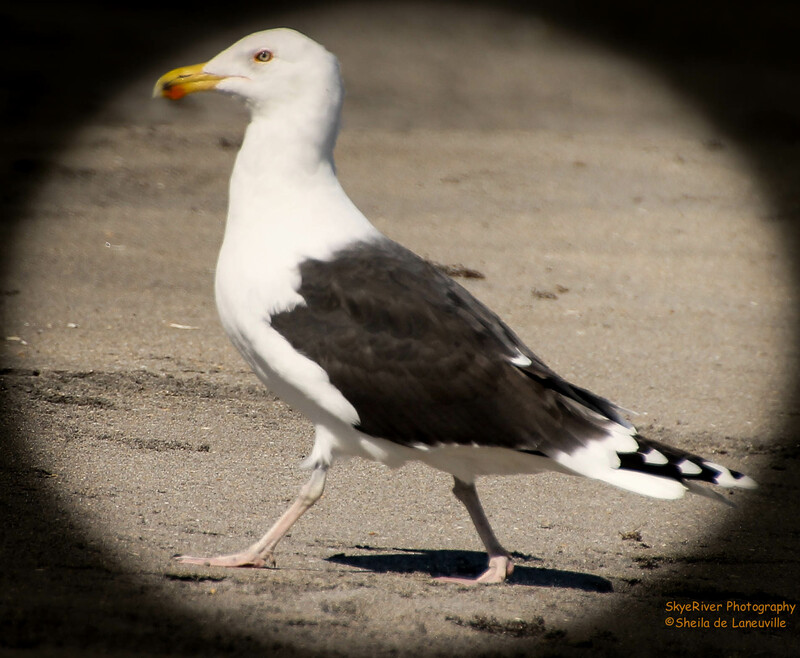 The Great Black-backed Gull is one of many bird species whose feathers were used for fashionable clothing in the 1800s. 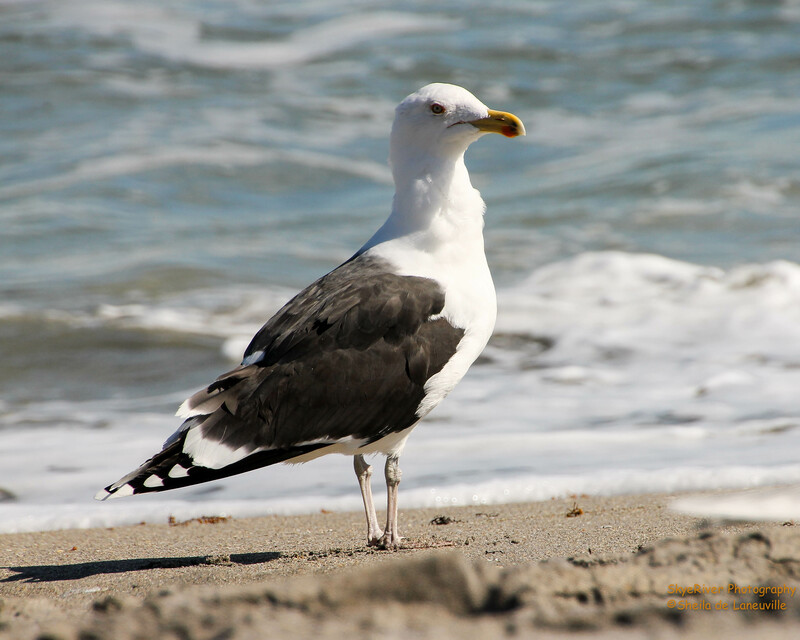 After the demise of the feather trade in the early 1900s, Great Black-backed Gull populations increased and spread farther south. Garbage dumps and other sources of human refuse have contributed to their range expansion. Wonderful post on the Gull. And I like the terns in the background too. Thank you for linking up and sharing your post.. Have a happy weekend! You are welcome Eileen; I love sharing with other nature lovers! Thank you! 😉 and big! Thanks Gunilla! We see some of these big guys around, too! Great photos. Thank you Betty! They sure do stand out! A beautiful gull. 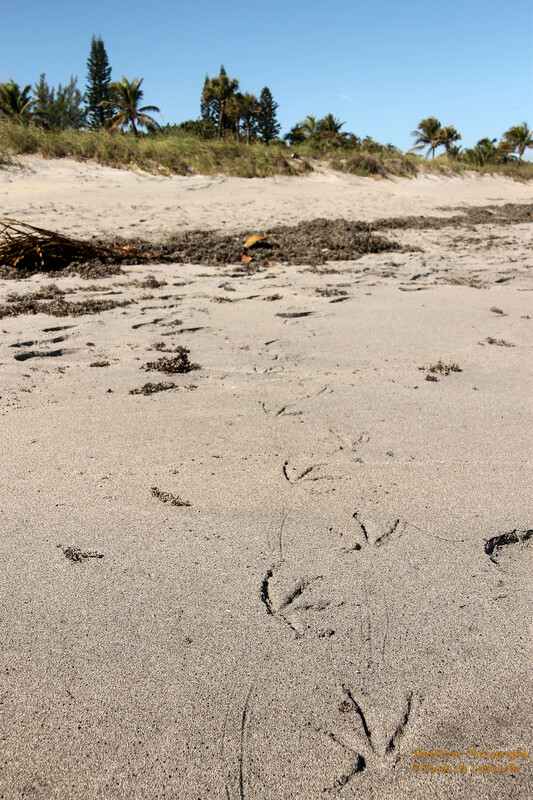 Are the footprints also his? They look too big. Fabulous photos. Have a great week. Hope you did as well Margaret, I am a little late in responding; always appreciate your comments! Thanks! Cracking bird – I like gulls – but we only have 3 species in Australia, and about 95% of the gulls are one one species, so IDing them is less of a challenge than elsewhere. I love the Gulls as well and I sure do like taking their photograph; they can be a pretty good subject (when still)! I enjoy the challenge of identification, especially during the winter months, and first and second year birds. Wow, only three species of Gulls; however you do have so many beautiful birds in Australia! Happy Birding Stewart! !